“Autonomous X12” from a chassis built exclusively by robots for the Nissan Motorsports race team. 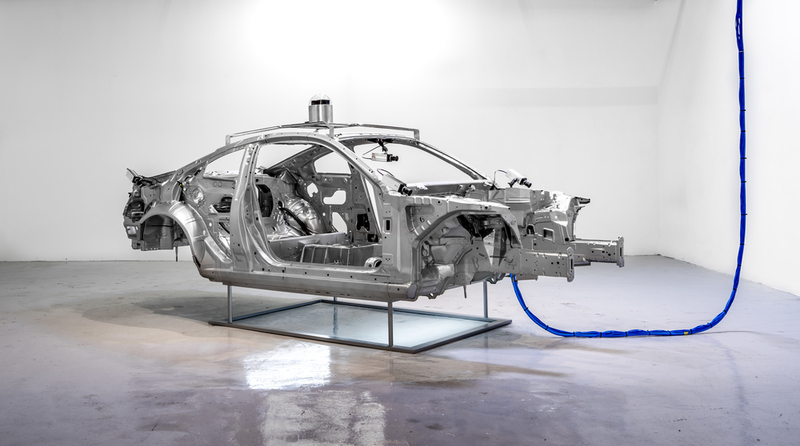 “Autonomous X12” is the third iteration of Georgopoulos’ series of automotive pieces embedded with or accompanied by film, each of which replicate the driving experience in real time. This dynamic piece takes the series a step further by kitting out the machine with videos that resemble those on the Google’s self-driving Project X vehicle.